1. Superhouse Ltd is a 10 rupee face value footwear company stock. Security ID: SUPERHOUSE Group / Index: B / S&P BSE SmallCap Face value: 10.00 Security Code: 523283 ISIN: INE712B01010 Industry: Footwear company. Short Brief of Company Business: - Superhouse Group is a conglomeration of several companies engaged in manufacturing and export of finished leather, leather products, and textile garments. The parent company, Aminsons Leather Finishers Pvt., was incorporated as a private limited company on January 14, 1980. It was converted into a public limited company on December 22, 1984, and its name changed to Aminsons Limited on February 21, 1989. Five group companies - Super House Limited, Super Garments Limited, Sharp Leathers Limited, Super Footwear Limited and Allen Shoes Limited - were merged with Aminsons Limited in 1994, 1995 and 1996 as per the orders of the Hon’ble High Court of Judicature, Allahabad. The name of the company was changed to Superhouse Leathers Limited on March 4, 1996, and finally Superhouse Limited on November 10, 2006, with the approval of the Registrar of Companies, Kanpur (U.P.). From a single tannery in the 1980’s producing finished leather, Superhouse Group has emerged as one of the largest players in the industry. We started with a commitment to excel, achieve and deliver the very best. Towards this end, we engineer, optimize and control every phase of the manufacturing process from raw material to finished products to ensure that final products are of the highest quality and also the best value for money for our clients. The Group has four overseas companies in the UK, the U.S.A., the U.A.E., and Romania, primarily engaged in marketing and distribution of leather, leather products, and textile garments. The group has crossed an annual turnover of Rs. 4,000 million. 2. Year high of Superhouse Ltd is 239 year low was 125 and the stock traded at 135.60, Year high/ low ratio is below 2, So the stock is stable for fresh buy. 3. Promoters of Superhouse Ltd hold 54.88 % shares and Promoters are not pledged any stock. So this is a good sign as per my rules. 5. The base price of Superhouse Ltd is 169.41, So Superhouse traded near 20% below from base price. Many of my followers suggest me this stock since last 6 months. They email me that "Superhouse Ltd fulfill all of my criteria but that time stock traded 1 to 5% below base price, and I wait when it stable more than 15% below from base price." Click here to download last 3-year price with the graph. It is possible that after my recommendation stock price may rise sharply because I have 12,000+ followers when they rush to buy at once, then the price may rise sharply. So I suggest that please do not hurry -up to buy just watch this stock and buy in a range of 130-160 whenever it stable. As per SEBI guidelines, I am (plus my family) also not buy my own recommendation 30 days before or 5 days after my recommnedation. 7. Superhouse Ltd net sale per share of FY 15-16 is 566.34. 9. Book value of Superhouse Ltd is 236.14, So at CMP the stock is 40% below from book value, so Superhouse is a value buy. 8. Finally, I select Superhouse Ltd after a watch of 6 months. 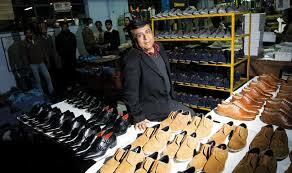 I think when peer footwear company Bata sales and profits down in Sept 2016 this company able to maintain his sales and profits and will be a multi bagger in next 1-2 years. 9. 200 DMA of Superhouse Ltd is 154.24 So at CMP 135.60 Superhouse Ltd traded below his 200 DMA and stock not technically sound for trading purpose and short term buy. 11. Disclaimer: - This is not an advisory service to buy or sell. The contents of “this research report” are only for educational purposes. No liability is accepted for any content in “this research report.” The author is neither a registered stockbroker nor a registered advisor and does not give investment advice. His comments are an expression of opinion only and should not be construed in any manner whatsoever as recommendations to buy or sell a stock, option, future, bond, commodity, index or any other financial instrument at any time.The author recommends that you consult with a qualified investment advisor, one licensed by appropriate regulatory agencies in your legal jurisdiction, before making any investment decisions. Please read full disclaimer at the bottom of my blog. 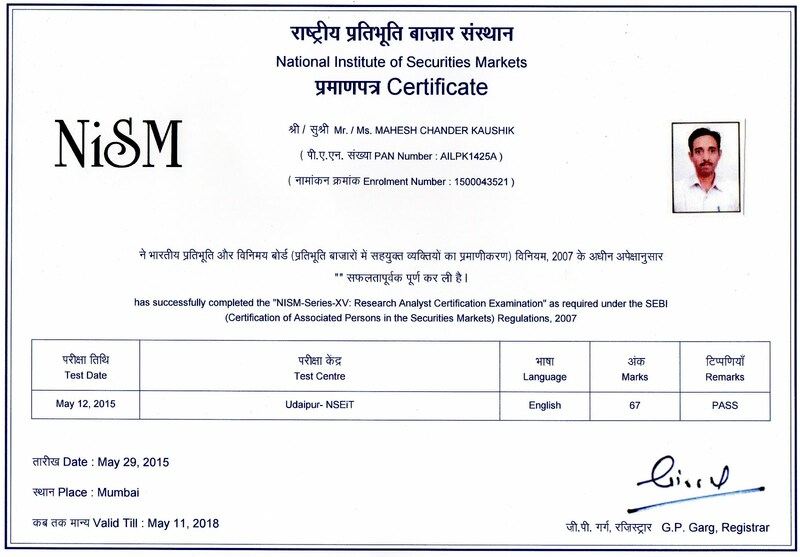 12.Discloser: - I Mahesh Chander Kaushik author of this research report is an existing research analyst and passed NISM certification for research analysts. I am also registered under SEBI(RESEARCH ANALYSTS) REGULATIONS, 2014 ( SEBI Registration Number INH 100000908 ) hereby disclose about my financial interest in the subject company and the nature of such financial interest:- 1 Me and my associates or relatives have not hold any share of Superhouse Ltd, so my personal interest is not included in this stock. 2. Me and my associates or relatives have not any actual/beneficial ownership of one percent or more securities of the subject company ( Superhouse Ltd). 3. Me and my associates or relatives have not any other material conflict of interest at the time of publication of the research report. 4. Me and my associates or relatives have not received any type of compensation from the subject company(Superhouse Ltd) in the past twelve months. 5. I am not served as an officer, director or employee of the subject company ( Superhouse Ltd). 6. I have been not engaged in market making activity for the subject company (Superhouse Ltd). 1. IDBI Bank Ltd is a 10 rupee face value Public Sector Bank Company. 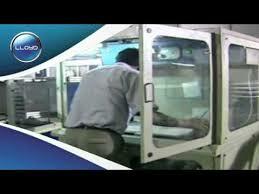 Short Brief of Company Business: - IDBI Bank Ltd. is today one of India's largest commercial Banks. For over 40 years, IDBI Bank has essayed a key nation-building role, first as the apex Development Financial Institution (DFI) (July 1, 1964, to September 30, 2004) in the realm of industry and after that as a full-service commercial Bank (October 1, 2004, onwards). As a DFI, the erstwhile IDBI stretched its canvas beyond small project financing to cover an array of services that contributed towards the balanced geographical spread of industries, development of identified backward areas, the emergence of a new spirit of enterprise and evolution of a broad and vibrant capital market. 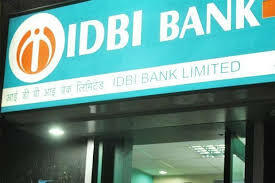 On October 1, 2004, the erstwhile IDBI Bank converted into a Banking company (as Industrial Development Bank of India Limited) to undertake the entire gamut of Banking activities while continuing to play its secular DFI role. Post the mergers of the erstwhile IDBI Bank with its parent company (IDBI Ltd.) on April 2, 2005 (appointed date: October 1, 2004) and the subsequent merger of the former United Western Bank Ltd. with IDBI Bank on October 3, 2006. IDBI Bank is the tech-savvy, new generation Bank with majority Government shareholding today touches the lives of millions of Indians through an array of corporate, retail, SME and Agri-products and services. 2. Year high of IDBI Bank Ltd is 95.70 year low was 47.40 and the stock traded at 70.55, Year high/ low ratio is 2.01and when you read my research terms then you may find that generally, I recommended a stock which year high/low ratio is below 2 but this ratio is accepted till 2.5 when company posts good results after year low. 3. Promoters of IDBI Bank Ltd hold 73.98 % stake and No any pledged stocks from promoters ( Govt of India is the promoter of PSU banks like IDBI). 4.As you already knew that I publish the only dividend paying fundamentally sound stocks on this blog. 7. IDBI Bank Ltd net sale per share of FY 15-16 is 136.20. 8. Net sale per share 136.20 is near two times higher than CMP, so this stock has the chance to become a multi-bagger stock. 9. Book value of IDBI Bank Ltd is 109.05 Book value is also higher than CMP, So in book value term IDBI is a value buy at CMP. 8. Finally, I think IDBI bank is best blue chip stock ( BSE Group A or BSE100 index stock) for the one-year holding horizon. When I publish my 2nd-time recommendation about Hindalco @101.75 on 8 July 2015, then some of my new followers worried when Hindalco touch 58.85 on 12 Feb 2016. Now When 1 year of my recommendation is complete Hindalco traded near 160. So If you buy a stock from my multi-baggers stocks recommendation then do not worried to see temporary falls like Hindalco and Pratibha Industries. 9. 200 DMA of IDBI Bank Ltd is 71.02 So at CMP 70.55 IDBI traded below his 200 DMA but recently this stock give a positive breakout over this 200 DMA. ( I notified this breakout through my multibaggers stocks sharegenius app) So I think 71.02 to 70.55 is a slight gap and stock may cross his 200 DMA on Tuesday's trading). 10. 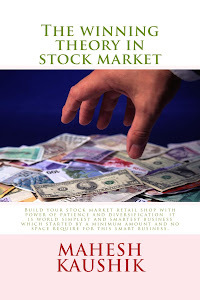 Fundamental target price of IDBI Bank Ltd is 94.914 ( Read my book to learn how to calculate fundamental target price of any stock. )IDBI Bank is a high beta stock If you see las15 year price data of IDBI bank then you find that since 2004 every year this stock cross price of INR 91. 11. My recent updates: - Panama Petro Ltd.
13.Discloser: - I Mahesh Chander Kaushik author of this research report is an existing research analyst and passed NISM certification for research analysts. I am also registered under SEBI(RESEARCH ANALYSTS) REGULATIONS, 2014 ( SEBI Registration Number INH 100000908 ) hereby disclose about my financial interest in the subject company and the nature of such financial interest:- 1 Me and my associates or relatives have not hold any share of IDBI Bank Ltd, so my personal interest is not included in this stock. 2. Me and my associates or relatives have not any actual/beneficial ownership of one percent or more securities of the subject company ( IDBI Bank Ltd). 3. Me and my associates or relatives have not any other material conflict of interest at the time of publication of the research report. 4. Me and my associates or relatives have not received any type of compensation from the subject company(IDBI Bank Ltd) in the past twelve months. 5. I am not served as an officer, director or employee of the subject company ( IDBI Bank Ltd). 6. I have been not engaged in market making activity for the subject company (IDBI Bank Ltd).